Reverend Billy Graham tells you how to determine a cult versus a non-cult. Spoiler: Judaism, Islam, Buddhism, are all cults. From your mouth to god’s ear, Graham. The satanists aren’t a cult – but everyone else in the world, is. Oh, wait. Except the mormons. Apparently the whole kerfuffle about “who is a cult?” is because Graham felt he had to conceed non-cultist status to Mitt Romney in order to be a dutiful partisan hack during the last election. Graham had to dodge the question of whether mormons are christians. It must have stung a bit to throw one of his little beliefs out the window in the name of political expediency and see his candidate get beaten like a tambourine by the other guy. Who am I kidding? I doubt that Graham actually believes anything at all, except to cling to worldly power and comfort a bit longer. He has thrown away any integrity he ever had, one little bit at a time, a theological death of a thousand self-inflicted cuts. I wish the interviewer had the presence of mind to ask Graham whether the The God Worshipping Society were a cult. The article has a picture of Jim Jones (yes, that was a cult) but that’s unfair to Jones: he was a piker. It gives me a small warm spot to be able to put Graham and Hong Xiuquan in the same sentence – those two delusional phoneys would have immediately recognized eachother as kindred spirits. Graham first came on my radar screen in a strange way: my father was his doppelganger for a while. It was interesting – I remember several times that we’d be out flea marketting or walking around, and someone would come fawning up to my dad like a submissive puppy to tell him how he had changed their life, etc. Dad was always very gentle with them and set them straight then wished them a good day, etc. Unlike the real Billy Graham, he didn’t lighten their wallets before they left. 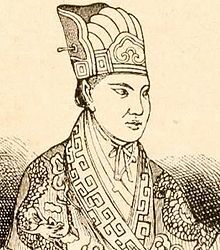 Those poor silly people helped me avoid taking religion seriously, so I owe all of them (and Hong Xiuquan and Joinville and Villehardoin and countless other silly believers) for helping me avoid falling into the trap of faith. 97! And he lies like a 20-year-old! I looked at the Wikipedia article. I suspect that there are some members of his cult editing the page. He may be still alive, but there’s been a lot of speculation about how many of the things attributed to him of late were actually written by him, as opposed to being written by Franklin Graham using his father’s name for improved credibility. I usually refer people to the Advanced Bonewits’ Cult Danger Evaluation Frame, assembled by neo-Pagan leader Isaac Bonewits. It involves ranking 18 data points from 1 (low risk) to 10 (high risk.) It’s goal is not to create a clear “this is a cult, this is not” set-up, but to help people spot red flags. And yes, there are a great many Christian groups that would score high on this evaluation. Surely no christian would bear false witness. Sorry. Can’t keep a straight face. Maybe he’s going to be like L. Ron Hubbard and become a prolific author after his death. Surely you’ve heard the saying that the difference between a cult and a religion is that the latter has either reached 1 million followers or lasted for 100 years (or both). Time and size do sometimes lead to an abandonment of some of the more dysfunctional articles of faith, but this is by no means always the case. In a cult, there is a person at the top who is running it as a scam and is only in it for the money. In a religion, that person is dead. The difference between a cult and a religion is real estate. According to St. Zappa. Saint Zappa’s pretty much right most of the time.